Tim Kelliher wins the final WSOP Circuit Ring Event and the Casino Championship! 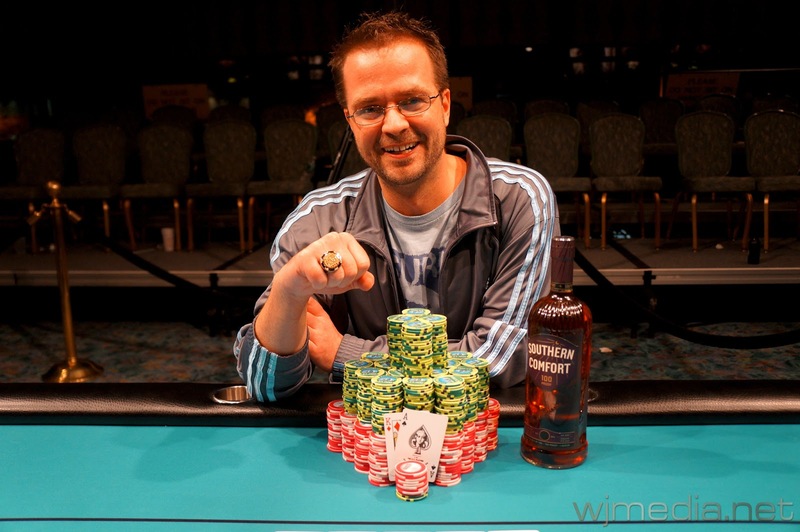 An amazing WSOP Circuit has come to an end with Tim Kelliher capping off a great series. Tim Kelliher just took down the final Ring event, the $365 No-Limit Hold 'em. 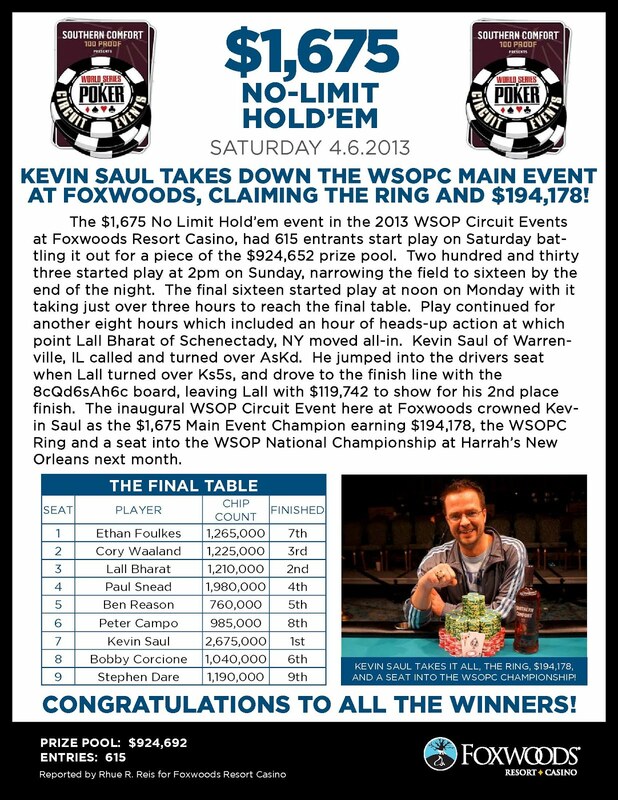 Beating a field of 168 players, Kelliher takes home $13,640 and the Circuit Ring. Kelliher made four final tables, earned more than $39,000, won his first WSOP Circuit Ring and also won the Foxwoods Casino Championship. 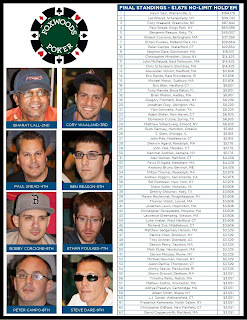 That is good for a seat to the WSOP Circuit National Championship sponsored by Southern Comfort 100 Proof to be played in New Orleans in May. 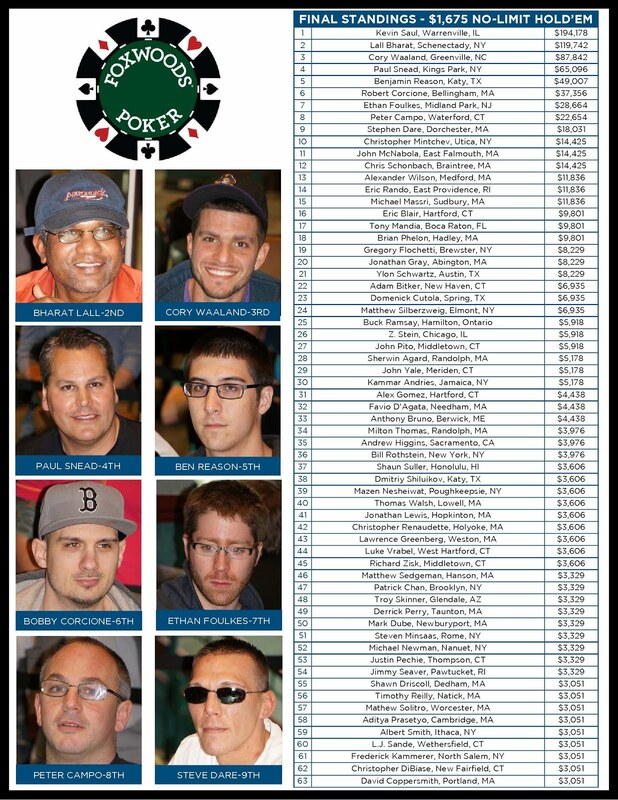 Thanks to everyone for an incredible first World Series of Poker Circuit Series here at the Foxwoods Resort Casino! 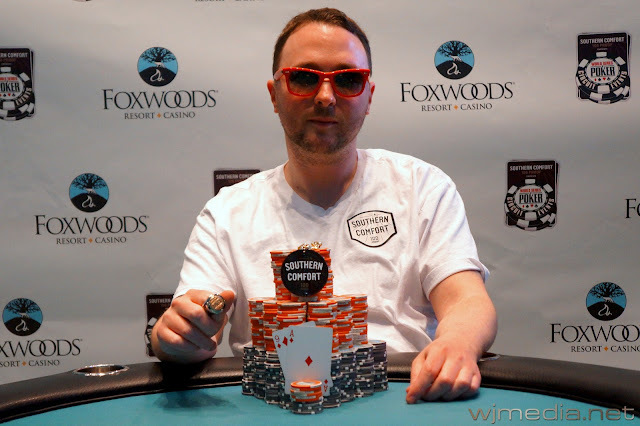 Kevin Saul, winner of the Foxwoods WSOP Circuit Main Event. Congratulations to Kevin Saul, winner of the Foxwoods Circuit Main Event. For his victory, Saul takes home $194,178, the WSOP Circuit Ring and the seat to the WSOP Circuit National Championship sponsored by Southern Comfort 100 Proof.